Multi-Car Accident – Who is Responsible for Your Damages? Interstate 95 (i-95) in Jacksonville was the scene of a serious car crash involving five different vehicles. At least one vehicle caught fire after the collision, which occurred on I-95 southbound at Baymeadows Road, according to CBS47 News. It was unclear whether any vehicle occupants sustained injuries. Hopefully, everyone was able to walk away unscathed. Nevertheless, considering the number of vehicles involved and the fact that at least vehicle burst into flames, there is a chance people were harmed in this awful accident. Which Driver’s Auto Insurance Policy is Liable for Damages? If you or a loved one is involved in a multi-vehicle collision and suffered serious injuries, you may be wondering, “which driver’s automobile insurance policy will be responsible for paying damages caused in the collision?” That’s a perfectly reasonable question. The answer depends on the facts of your potential case. One driver may be liable, but it’s possible there may be multiple drivers who were careless and that carelessness contributed to the collision. If that is the case, you could pursue financial restitution for your harms and losses from multiple auto insurance policies. If you or a loved one is involved in a chain reaction, multi-vehicle accident, make sure you exchange insurance information with all the drivers involved in the collision, if you are able. Obviously, if you are seriously injured or incapacitated, immediate medical attention is the first step. In addition to insurance information, you should obtain a copy of the accident report that is generated by state police. This is a critical record since police, after investigating the accident, could reference which driver, or drivers, were responsible for the accident or if any driver violated traffic laws. You should also speak to a Jacksonville car accident lawyer right away. Why? Because once you have a lawyer on your side, they can go to work obtaining witness statements, speaking to police, contacting the responsible driver’s insurance company, investigating the accident scene, etc. 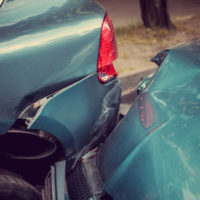 In multi-vehicle chain reaction accidents, do not be surprised if the auto insurance companies involved in the claim dispute liability. This is quite common. Fortunately, in Florida, you can obtain at least some financial restitution for your harms and losses without liability being officially determined. Florida law requires all drivers to carry Personal Injury Protection (i.e. PIP). Every Florida driver must carry at least $10,000 worth of PIP coverage. This PIP coverage is actually paid by your own automobile insurance company (not another driver) if you are involved in a car accident. Generally, PIP insurance covers approximately 80 percent of your medical bills and 60 percent of your lost wages, up to the aforementioned total of $10,000. If your medical bills, lost wages, and pain and suffering exceed $10,000, that is when you take action against the other driver’s auto insurance coverage. As you can see, a multi-vehicle accident can get complicated and you’ll need to track down and contact multiple auto insurance claims agents. That is why you should hire a Jacksonville personal injury attorney with extensive experience in car accident cases. The Jacksonville law firm of Gillette Law, P.A. has helped thousands of clients and we offer a contingency fee structure so you pay nothing up front and only pay us when we obtain a recovery in your case.